Nestled along the banks of Cazenovia Creek, East Aurora is a cultural center of Western New York State that has flourished because of the diverse talents of its people. 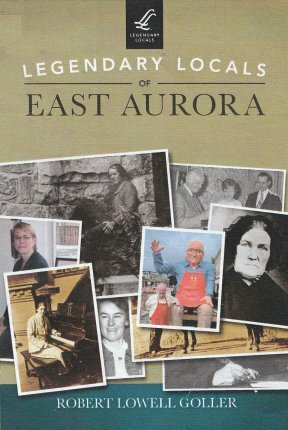 Native Americans lived in East Aurora for thousands of years before the first settlers came to the area in 1804. One of the first pioneers, Martha Richardson Adams, carried her infant child on horseback all the way from Massachusetts. East Aurora grew rapidly after the War of 1812, evolving into an important business center south of Buffalo. By the 1880s, the village had become a horse-racing capital, where thousands came to Cicero Hamlin's farm to get a glimpse of his legendary horse, Mambrino King. As the century came to a close, hundreds of creative types were drawn to the Roycroft Campus, where Elbert Hubbard had established an arts and crafts colony. Despite modern developments, East Aurora remains a small village at heart, where the owners of the barbershop, bookstore, pharmacy, coffee shop, theater, and old-fashioned 5 & 10 still greet you at the door.